There will be psychology - what was his mental state? Who was caring for him? There will be chemistry - what was he on? Did he abuse? There will be technology - what computer games did he play? How long every day? There will be politics- should we ban guns? There will be sociology - do affluent sons of broken families need help? And there will be biology - what gene causes violence? But an explanation of evil, if it starts anywhere, starts in the deceptive heart of human beings. 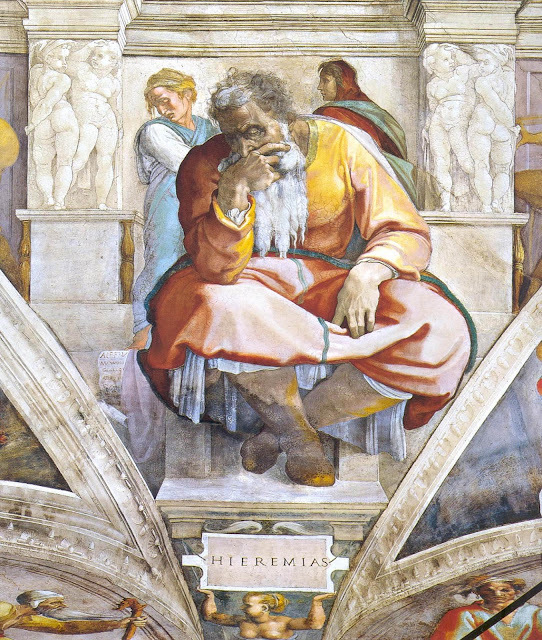 Jeremiah writes, "the heart is more deceitful than all else and is desperately sick; who can understand it?" There is no legislation that can mitigate hate, no social program to cure heartbreak, no drug to knock out desire and nothing merely human that can make sense of horrendous evil. To trust in flesh is to be cursed as Jeremiah writes: "cursed is the man who trusts in mankind and makes flesh his strength, and whose heart turns away from the Lord." Our worst response to evil is to assume our own infallible goodness. Horror should make us humble for we all share in its cause. Before we attempt to cure any ill we should first turn from our own, repenting for our arrogance, our deceit. And turn to God, trusting in Christ who has paid the price for sin, reconciling God with man, realizing the vacuous nature of our autonomous reasoning. We should, as a wise man once wrote, "trust in the Lord with all your heart and lean not on your own understanding; in all your ways submit to him, and he will make your paths straight" (Proverbs 3:5-6).